Munich - Should everything go according to plan, Rafael van der Vaart will pull on a Hamburger SV shirt for the first time in 1583 days on 16 September when the Red Shorts host Eintracht Frankfurt in the Bundesliga. A more dramatic transformation between then and now is barely imaginable as the Dutchman returns to a side which is merely a shadow of the one he left in 2008. His last game for the club was a 7-0 thrashing of Karlsruher SC, a result which earned the club a fourth-place finish in the Bundesliga that season. Since van der Vaart's departure, HSV have finished fifth, seventh, eighth and, last season, 15th - the north German club's worst ever top-flight finish. It is hoped the 29-year-old can reverse the decline, but in truth, nothing is like it used to be in Hamburg. Van der Vaart may only have been away for four years, but when he returned to the dressing room following his transfer from Tottenham Hotspur, he would not have found a single familiar face. His coaches Thomas Doll and Huub Stevens have long since flown the nest and none of his former team-mates still play for the club. Thorsten Fink is now calling the shots and needs a player of van der Vaart's pedigree more than ever. In his first three years on the Alster, the Dutchman scored 48 goals in 113 games, setting up a further 35 goals for fellow Red Shorts. HSV were even playing UEFA Champions League football when he last played for them - and he scored a goal in each of their three group games. That seems like an eternity ago, however. 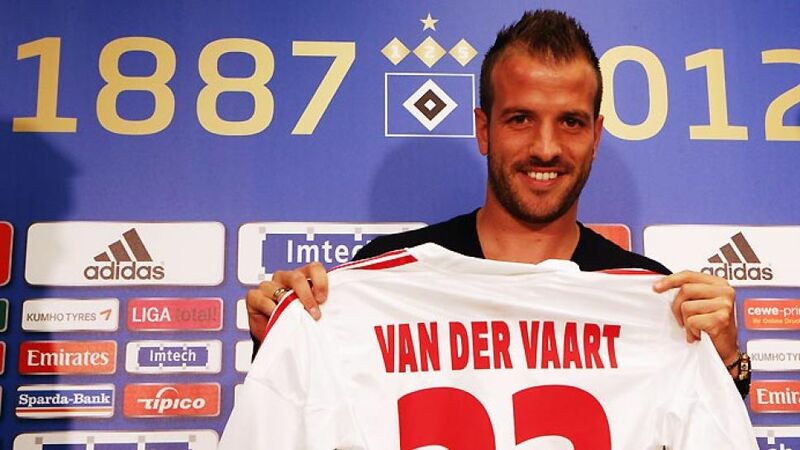 After three defeats in a row, the alarm bells are ringing louder than ever, which is where van der Vaart comes in. However, the Dutchman himself says he cannot perform miracles: "I know that everybody is expecting that I will help the team immediately as the leading player. It's only normal that people have such expectations. I want to help the team rediscover their self-confidence, but I'm not the saviour." His words alone have already brought an air of optimism to the club who, after crashing out of the DFB Cup, only have the Bundesliga to concentrate on this season. "I am absolutely convinced that we'll start moving upwards now," said Fink. "Rafael does not need to have experience of being in a relegation battle because we're not going to be in one."